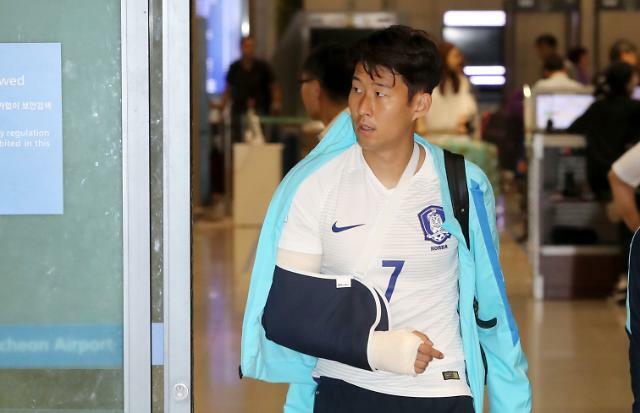 Tottenham Hotspur's South Korean star Son Heung-min was discharged from a Seoul hospital where he underwent surgery on his broken right forearm. Son went under the knife last Friday to fix a fractured forearm, which he sustained during the 2018 FIFA World Cup qualifying match against Qatar at Jassim Bin Hamad Stadium in Doha a week ago. 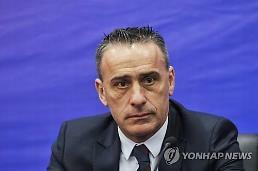 The 24-year-old, however, still has to visit the hospital for additional treatment before starting rehabilitation. Son's forearm is expected to be in a cast for at least two weeks as his fractured bones are realigned and stabilized with metal plates and/or screws. Doctors here expect Son to sit out for at least four weeks and his full recovery could take up to 12 weeks.